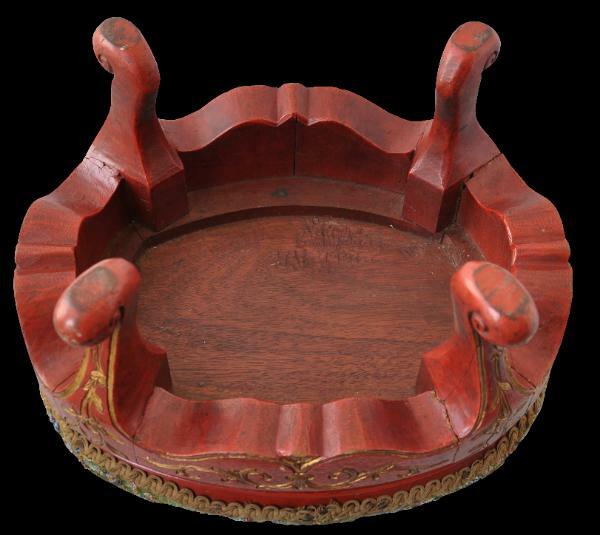 Made in pairs (here we have only one), they were commissioned items and as such are always unique. 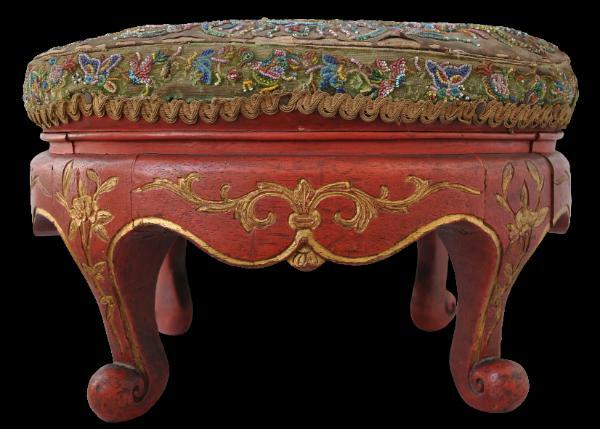 This oval example, of gilt and red painted wood, probably namwood, with carved rococo-style flourishes, scalloped aprons, and four cabriole-like legs,features a superb beadwork cover. 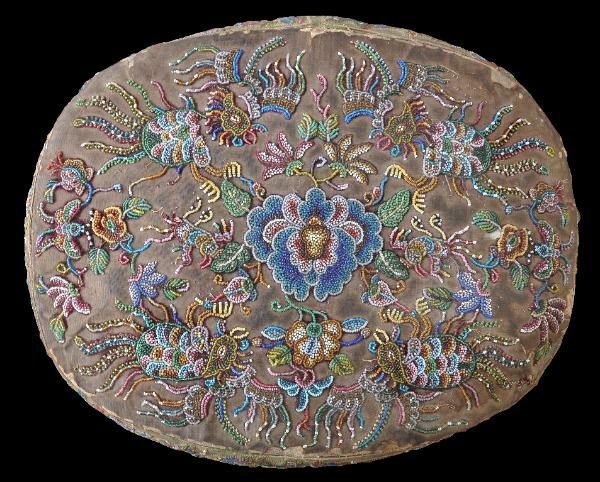 The multi-coloured rocaille beadwork is in the form of four prominent phoenixes and two butterflies amid foliage and flowers around a large central blue, pink and yellow peony bloom. Each of these elements is particularly auspicious for a Straits Chinese wedding. The condition of this example varies. 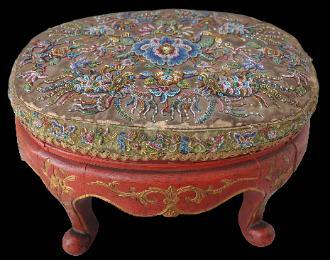 The wooden base is in a fine, robust condition. The beadwork cover however has faded, is frayed at the edges and some small sections of the beadwork have been lost. This, however, must be considered against the relative rarity of these items. 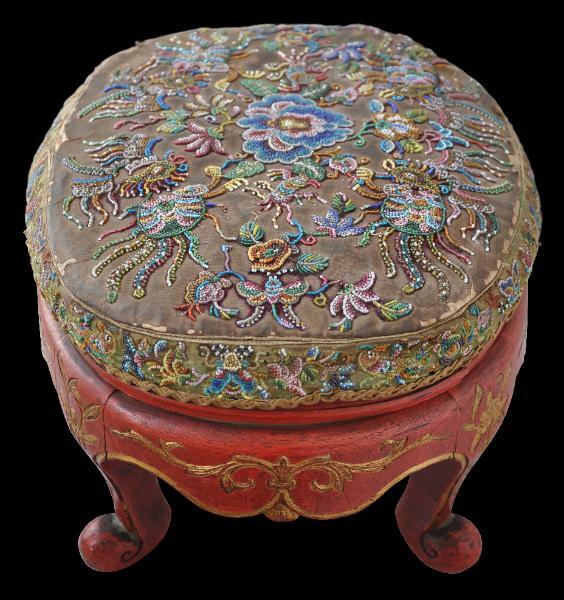 Ong, P.N., Brown & Gold: Peranakan Furniture from the late 19th Century to the mid-20th Century, Ong Poh Neo, 1994.